Mohamed Yusuf was born in Somalia and arrived in Australia in the early 90’s, completed his schooling and tertiary education in Melbourne. 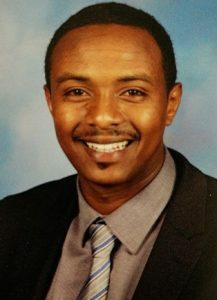 Mohamed holds a Bachelor of Education (P-12) from Victoria University and a Master of Educational Policy and Leadership from Melbourne University. 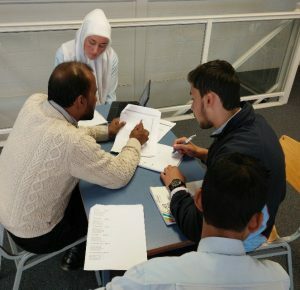 Mohamed joined Al-Taqwa College in 2014 as a secondary school teacher majoring in the subjects of Global Politics, Accounting and Business Management. In 2015 Mohamed was appointed the school’s Community Development portfolio. * Supporting students and families with the school community by assisting parents with bridging language and communication barriers. * Understanding and enhancing diversity and multiculturalism. * Developing programs, activities and initiatives to engage our Somali students at Al-Taqwa College. * Provide support to the Principal, Parent Liaison Officer and other key staff. * Provide counselling to Somali students who are in need of support. * Organise and run Somali language classes. So far Br Mohamed had successfully initiated and implemented several useful programs which include the following. 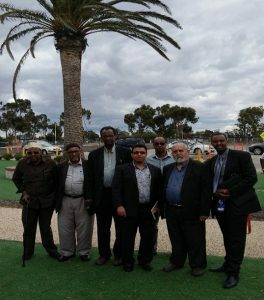 On 12 December 2015, Mr Hallak and Mohamed Yousef participated in the Somali Youth Graduation Ceremony organised by the Somali Australian Friendship Association (SAFA) a youth–led organisation. Mr Hallak gave an inspirational speech to the graduates. Al-Taqwa College sponsored SAFA and gave the opportunity for the Association to run their 2016 ceremony at the College. At the commencement of the 2016 academic year, Al-Taqwa College invited the Victorian Somali Community leaders to the College, including the Hn.Yunis Hashi Consulate General of the Federal Republic of Somalia. The community leaders had a luncheon with Mr Hallak and key leaders of the College, the delegation were also given a tour of the College. Beginning of Term 2, 2016, we implemented Somali language classes for secondary students which were held after school on Tuesdays. This program was a great success, therefore we are now looking into running the Somali classes as an elective in the near future. We hope to collaborate with La Trobe University and the Victorian Curriculum and Assessment Authority (VCAA). Al-Taqwa College will be the first College to run Somali language classes throughout the country. 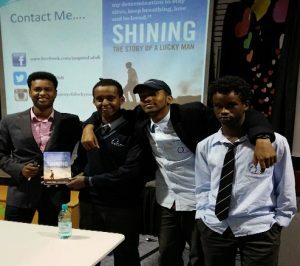 During Term 2, we invited Abdi Aden an inspirational speaker and the author of the book, ‘Shining: the Story of a Lucky Man’. Mr Abdi talked to the students and teachers regarding common dilemmas which new migrants face in a new country. Mr Abdi tours around Australia sharing his rags to riches story with school aged students across the nation. During term 4, we developed the Homework Club, which kicked off its first session on Wednesday 19 October 2016. The purpose of the Homework Club is to assist students with their classwork and homework by developing their skills and habits to progress as independent learners. Alhamdulillah, we had many passionate teachers who volunteered their lunch time to help out. A big thanks to those teachers.